Perhaps you have a friend who would like to come to NMX but needs a little extra convincing. Perhaps you’d like to bring a significant other to NMX, but can only budget for one ticket. Perhaps a co-worker would like to come to NMX, but your office can’t send two people. Perhaps, you’d just like to give the gift of NMX to someone special in your life. Today, you can do all of the above, because today we’re offering the gift of friendship to our friends in the NMX community. 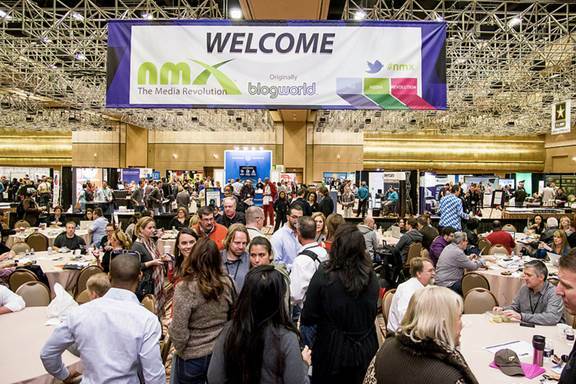 Today only, everyone who registers for a Content Creator or VIP pass for NMX ’15, will receive a second Content Creator pass on us. You read that correctly! We’re giving an additional, absolutely free, Content Creator pass to everyone who registers today, so you can bring along a friend or co-worker. Not only will you and your friend be able to attend NMX keynotes and breakouts, participate in NMX networking events, and visit the booths in NMX’s exhibit hall, but you will both also be able to attend the general sessions and exhibits at the annual NAB show. The 97,000 traditional media content creators at NAB means 97,000 additional opportunities for networking. PLUS, you’ll both explore hundreds of booths displaying the latest tools and technology for both new and traditional media content creators. Two conferences for two friends! Register today, so you and a friend can experience all NMX and NAB have to offer. Back By Popular Demand! Bring a Friend to NMX – It’s On Us!